Cold process are widely regarded as the highest quality of soap. 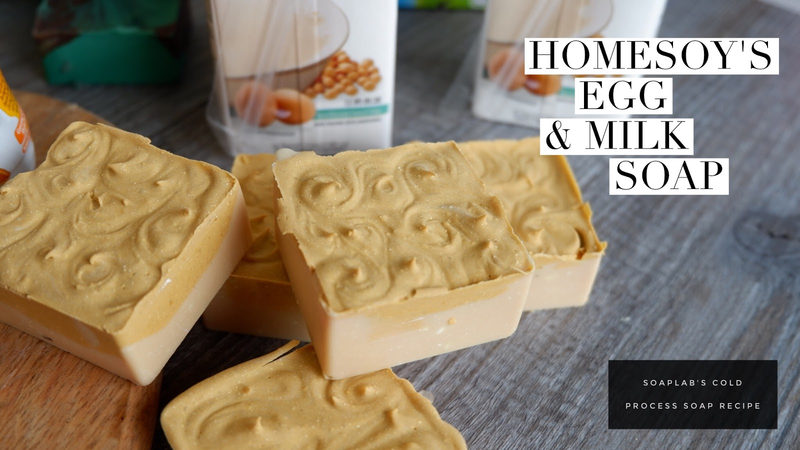 Our Homesoy Soy Bean uses natural ingredients to keep your skin healthy. You need to combine lye, distilled water and an oil mix. The oil mix aids the skin in many different ways. For instance, castor oil has anti-inflammatory properties which relieves pain and reduces inflammation of the skin. It also has antibacterial properties, which help repair the skin and reduce damage such as acne. Next add oatmeal, milk and honey. Honey has antibacterial properties while milk is a good moisturiser for the skin. The oatmeal will gently exfoliate the skin. Iron oxide yellow and titanium dioxide is added to design the soap. To complete, add soya bean milk. Enjoy!